WIKIMEDIA, GOLDMUND100About four years ago, Jay Tischfield, the director of RUCDR Infinite Biologics, a long-standing biorepository at Rutgers University, found himself sitting on a gold mine. RUCDR had recently gotten into the business of banking induced pluripotent stem cell (iPSC) lines as part of an initiative through the National Institute of Mental Health (NIMH). This was still early days in iPSC derivation, a few years after the pioneers of the field had figured out how to turn skin cells into pluripotent cells. But not long into this new endeavor, “something important happened in the field,” Tischfield recalled. Researchers reported for the first time that they could induce pluripotency from blood cells. It just so happened that RUCDR was in possession of a massive collection of blood cell lines, each with a heap of information on the donor. “There we were, standing on what is perhaps one of the world’s, if not the world’s, largest collection of genetically defined . . . lymphocytes from literally almost a half a million subjects,” he said. All of these non-transformed small lymphocytes had been cryopreserved as back-ups for transformed cell lines. 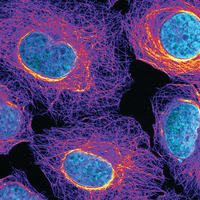 “And it turned out these were fantastic for making iPSCs,” said Tischfield. “We could make iPSCs with about a 95 percent efficiency.” Suddenly, the opportunities for iPSC derivation and banking seemed endless. As a growing number of iPSC banks begin to come online, they’re facing many of the same questions. Chief among them: Which cells will be good for business? It was the work of Nobel Laureate Shinya Yamanaka and colleagues nearly a decade ago that introduced the world to a new kind of stem cell, iPSCs. Although a seemingly simple protocol, deriving iPSCs and then maintaining and storing them can be a burden. 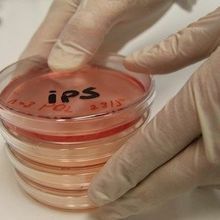 The idea behind an iPSC bank is that the repository does all the labor and quality assurance (QA) assays and distributes cells to researchers for a fee. RUCDR and the NYSCF are just two of a number of institutions working toward this goal of banking these cell lines. 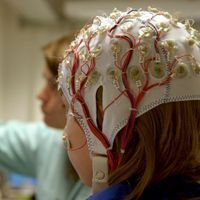 The Coriell Institute in Camden, New Jersey, for instance, offers dozens of iPSC lines related to Parkinson’s, amyotrophic lateral sclerosis (ALS), and Huntington’s disease. WiCell in Madison, Wisconsin, also banks and distributes a growing number of iPSC lines (it has 18 available to order online so far). The Harvard Stem Cell Institute offers derivation services for researchers desiring custom-made iPSCs in addition to distribution of its 22 banked control and ALS lines. CIRM settled on a goal of 9,000 lines derived from 3,000 individuals. Yaffe said he anticipates that the first of these will be available for distribution by the end of the year or early 2015. What’s still unsettled, however, is the cost. It’s a tricky calculation, given that the utilization of the lines is unknown. The price tag at iPSC banks ranges from as low as $200 per line to up to about $1,500. Costs vary depending on how many QA assays a researcher requests and whether she is an industry or academic customer (there’s typically a discount for the latter). In most cases, the banks aren’t looking to iPSC lines as profit-generators, but as resources that will hopefully sustain themselves through user fees. “The economic models are really hard to deal with,” said Sheldon at RUCDR. Banks have to project which cell lines will be worth expanding and how many assays should be done up front. It remains to be seen which lines—and banks—will be the most popular and economically successful. Sheldon said the control lines deposited from the NIH’s Center for Regenerative Medicine are getting quite a bit of use—40 recipients over the past year—and that he anticipates demand will increase as more researchers choose iPSCs. For now, banks are primarily focused on iPSCs to be used in basic research, disease modeling, and drug screening, rather than for drug development. But therapeutic-grade banks are likely to come next. The first clinical trial using iPSCs was approved last year in Japan to treat patients who have age-related macular degeneration with autologous iPSCs. Such iPSC-based therapies could get more traction if ready-made cell lines are more widely available, according to Ian Wilmut, a professor emeritus at the MRC Centre for Regenerative Medicine at the University of Edinburgh. “If you go to patient-specific cells, people think it would be so expensive and so slow,” he said. 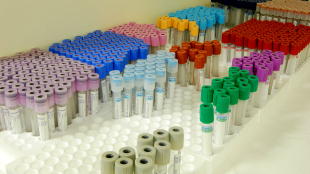 As with other tissue repositories, banked iPSC lines for human treatments would benefit from including a wide variety of human leukocyte antigen (HLA) genotypes to get as close an immune match as possible. For their part, regulators, too, are working on how to handle stem-cell therapies. Wilmut is part of an international group of stem-cell leaders working on getting regulatory uniformity across countries so that banked, therapeutic iPSC lines could be distributed worldwide. He said it’s important to get a consensus on regulations and quality criteria now, before companies move ahead with developing therapies. And it’s clear from the progress over the last eight years—from the initial demonstration of iPSC derivation to the first clinical trials in humans—that the field is moving at the speed of light.